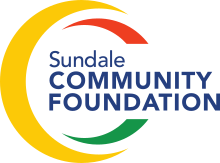 The Sundale Community Foundation (SCF) is Nambour and surrounding region’s Community Foundation. The SCF is a self-sustainable charity that actively works to support the needs of our community, both now and into the future. We appreciate and value your support of the local community and is truly a gift that keeps on giving. All donations are treated as capital in order to provide a permanent and growing source of funding with earnings being distributed annually by way of grants to eligible applicants in Nambour and its surrounding region. The grants program provides an opportunity to celebrate our community while creating a supportive and lasting legacy for the future of Nambour and its surrounding region. The goal is to significantly build our capital fund and enable the Sundale Community Foundation to continue to provide worthwhile community grants to those in need in the region. The Foundation is a DGR registered charity and donations made to the Foundation’s Public Ancillary Fund are Tax Deductible.